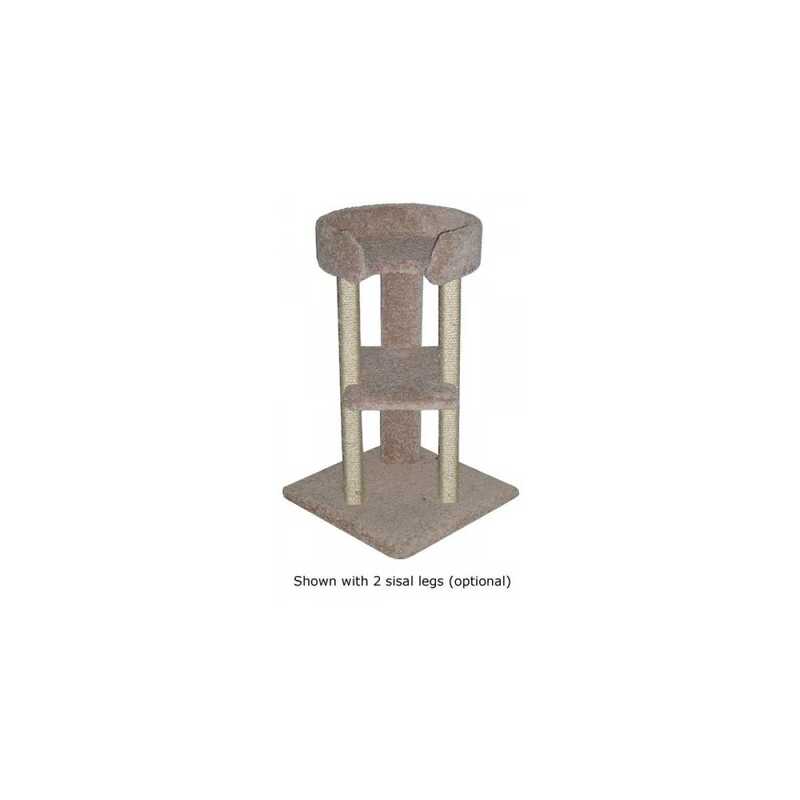 Our 34 Inch Corner Cat Tower is designed to fit in out-of-the-way corners and still have frontal access. 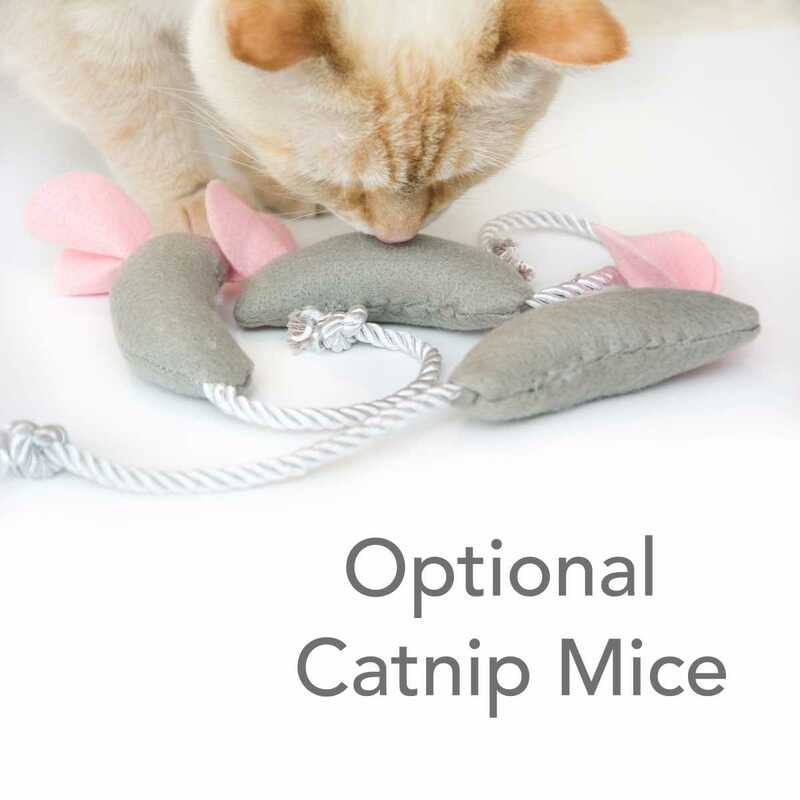 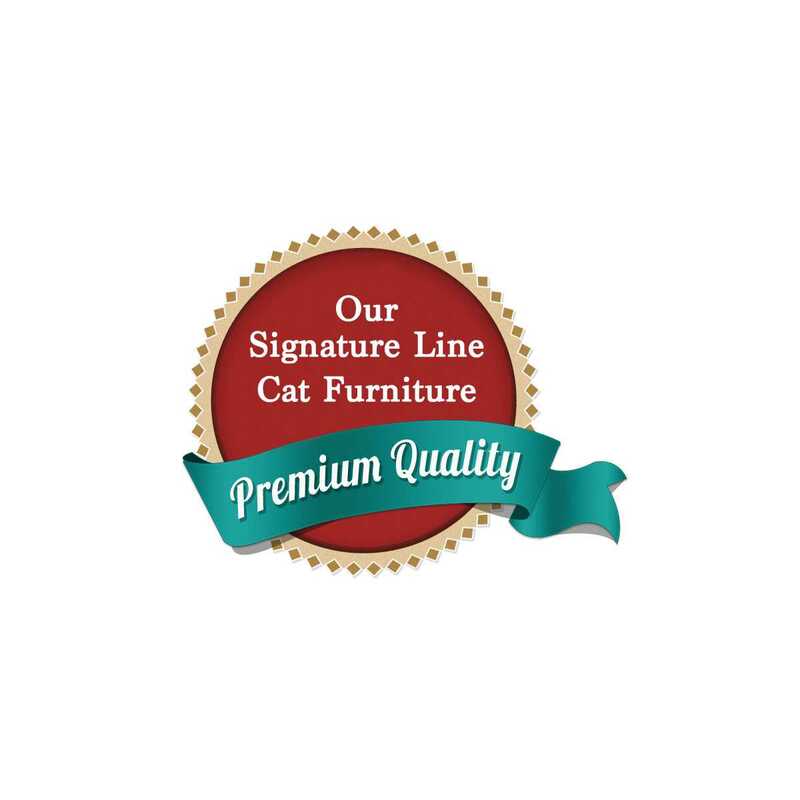 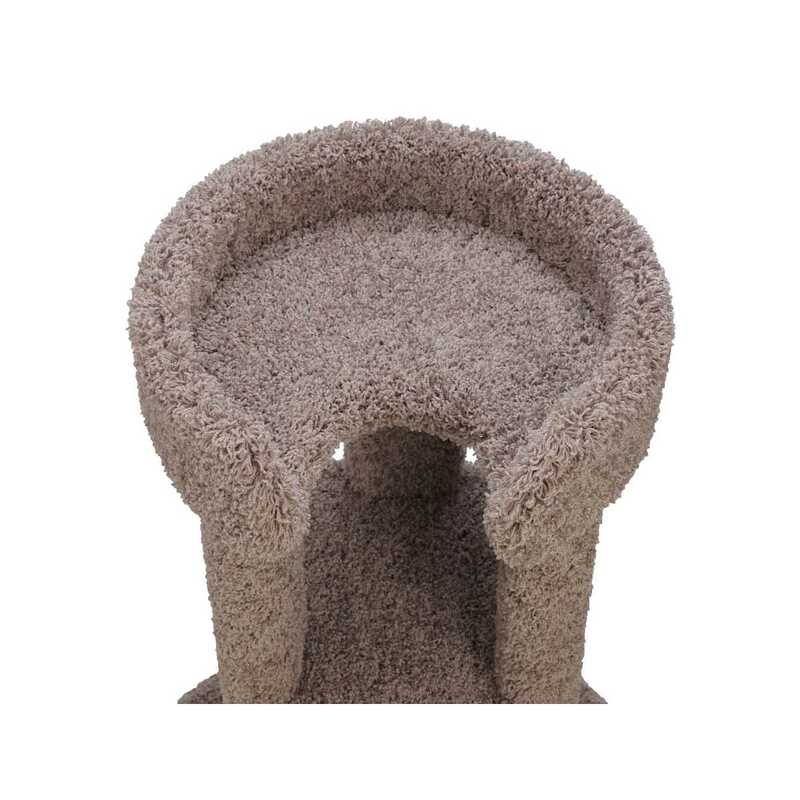 The corner tower is 34" tall with a large 16" diameter top bed that has a 4" lip, accommodating cats of all sizes. 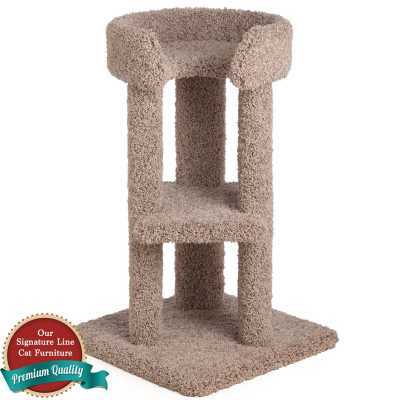 The large 12" x 16" shelf makes the top very accessible. 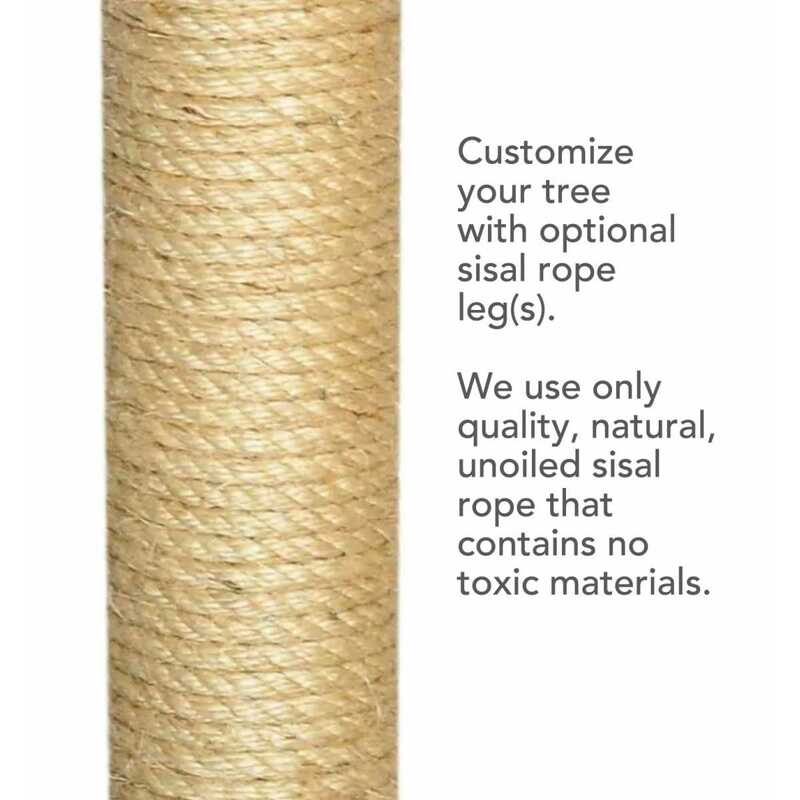 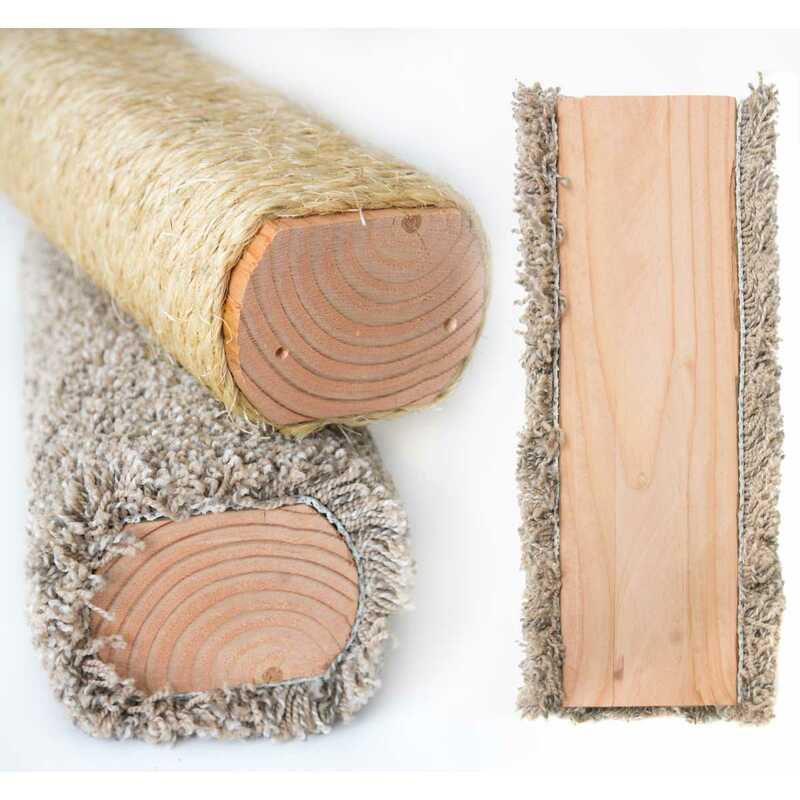 The three solid wood posts are attached to our wide 20" x 20" wobble-free base, and you can optionally add sisal rope to one, two or all three legs.